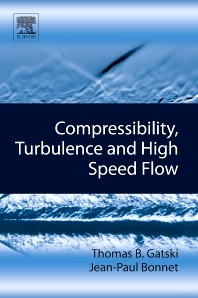 This book introduces the reader to the field of compressible turbulence and compressible turbulent flows across a broad speed range through a unique complimentary treatment of both the theoretical foundations and the measurement and analysis tools currently used. For the computation of turbulent compressible flows, current methods of averaging and filtering are presented so that the reader is exposed to a consistent development of applicable equation sets for both the mean or resolved fields as well as the transport equations for the turbulent stress field. For the measurement of turbulent compressible flows, current techniques ranging from hot-wire anemometry to PIV are evaluated and limitations assessed. Characterizing dynamic features of free shear flows, including jets, mixing layers and wakes, and wall-bounded flows, including shock-turbulence and shock boundary-layer interactions, obtained from computations, experiments and simulations are discussed.